The Welcome Choir is a drop-in choir that sings together in the heart of Sydney. There is no audience, no auditions. Everyone is welcome. Just come along! They believe in the power of music to lift people up. 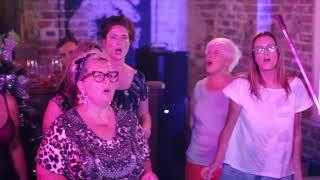 The Welcome Choir is taught by singer, songwriter and music teacher Bek Jensen, and they meet on the first Tuesday of the month at The Factory Theatre in Marrickville, and the first Sunday of the month at Casula Powerhouse in Casula. Come and sing with them! Both venues are fully accessible.